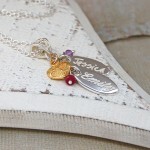 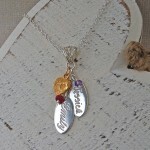 A unique handmade personalised sterling silver name charms necklace with birthstones. 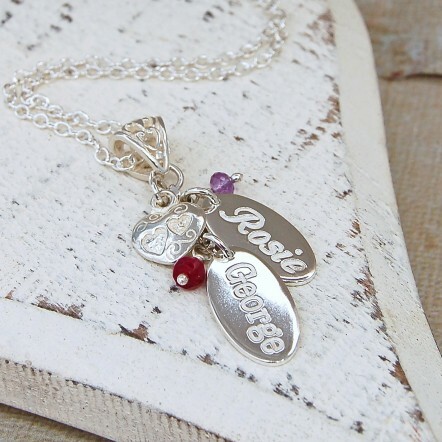 This necklace makes a stunning and timeless gift for new (and not so new) Mums to celebrate their children and to keep precious memories of those close to her. 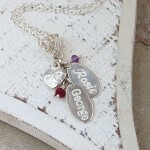 It is also a great gift idea for Grandparents and can include the names of their children and grandchildren. 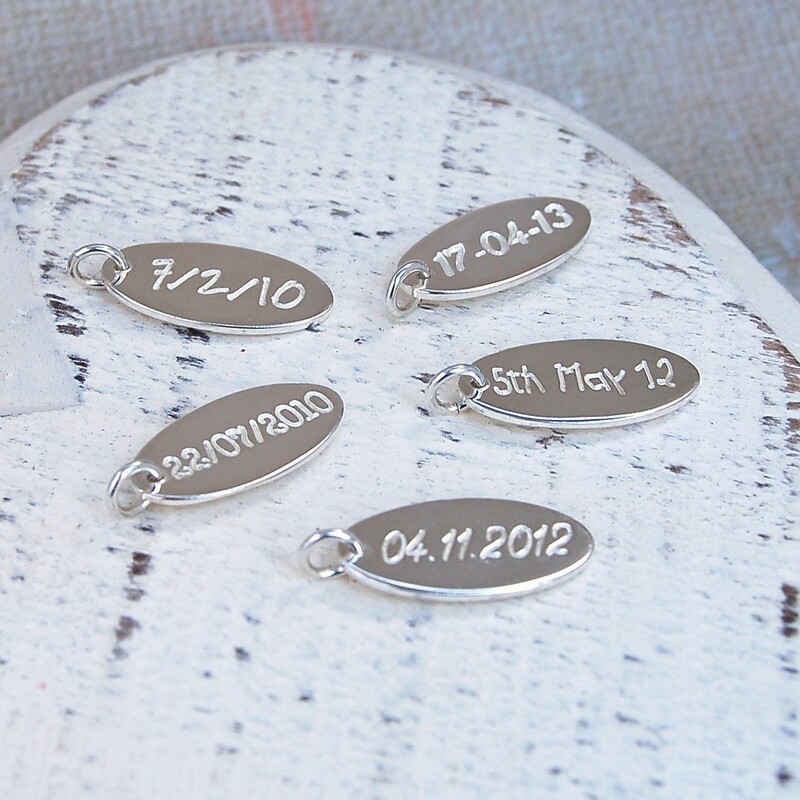 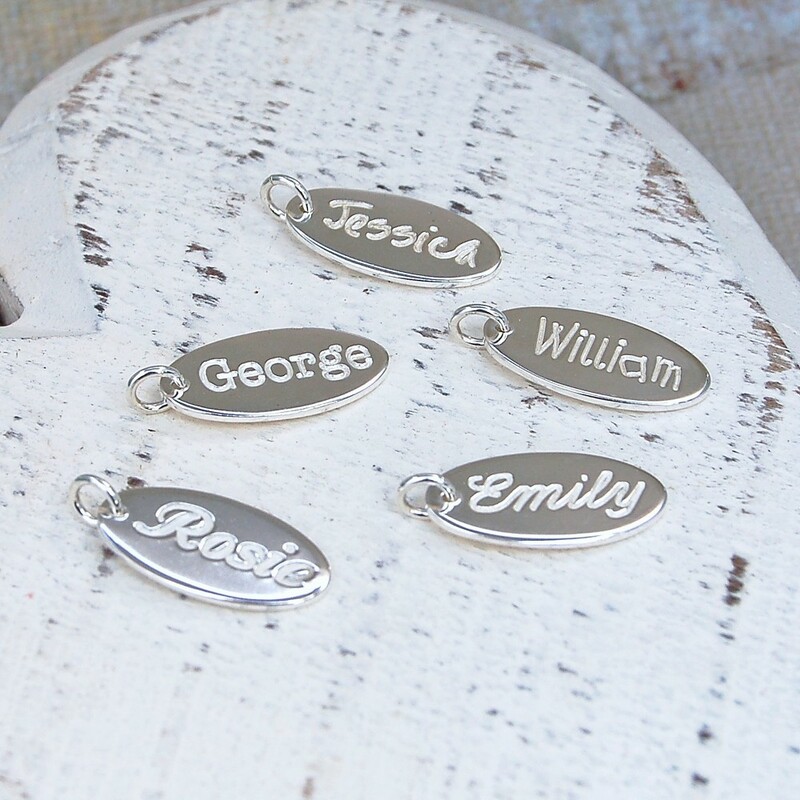 Each charm can be etched with a name up to 8 characters in a choice of font styles and the back of the charm can also be personalised with a date if required. 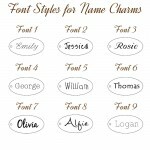 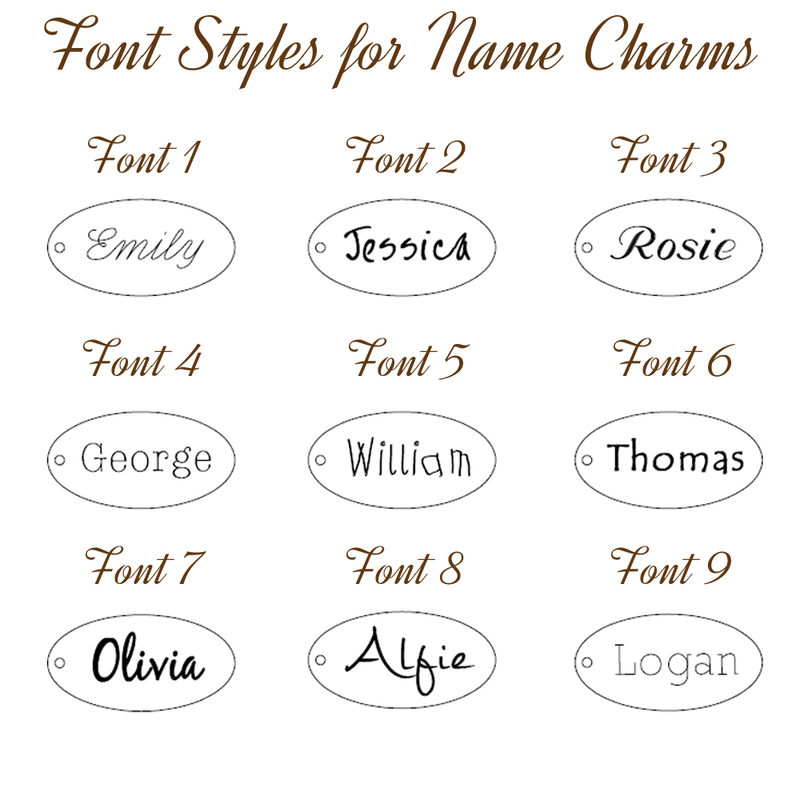 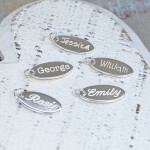 Various fonts can be used for the names and you can have all the name charms etched using the same font or with different fonts as shown on the example. 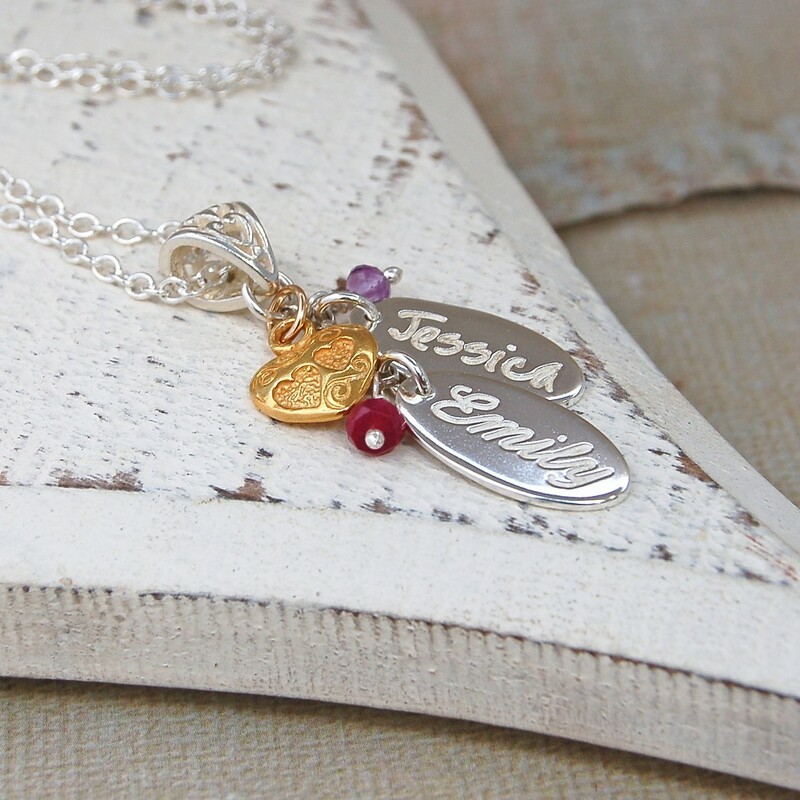 The birthstone gemstones are optional, so if you would prefer not to have them just choose the relevant option from the drop down box. As this necklace will be custom made to order, if there are any variations you would like making, to make it truely unique to you, please let us know. 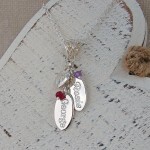 The oval charms, bail, chain and all components are sterling silver. The birthstones are genuine gemstones and freshwater pearl. 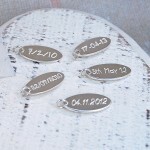 The oval charms are approximately 1.9cm long and 1cm wide. The sterling silver chain is available in standard 16″, 18″ or 20″ lengths or extra long lengths for a small extra charge. 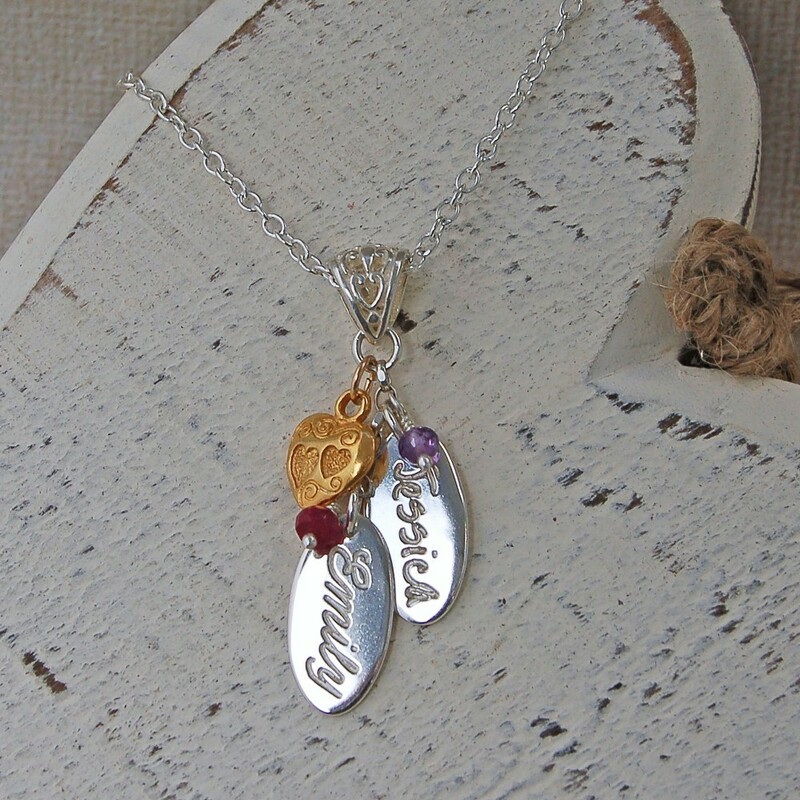 The gemstones vary in size but on average are approximately between 3-5mm.